The Ukraine, Russia and the Crimea are taking centre stage in the world today but this spellbinding story of courage and love takes us back to the original Crimean war. Russia, 1854: the Crimean War grinds on, and as the bitter winter draws near, the battlefield hospitals fill with dying men. 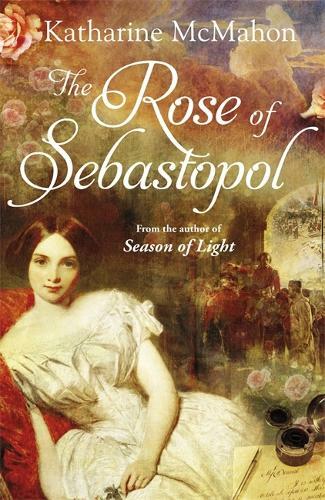 In defiance of Florence Nightingale, Rosa Barr - young, headstrong and beautiful - travels to Balaklava, determined to save as many of the wounded as she can. For Mariella Lingwood, Rosa's cousin, the war is contained within the pages of her scrapbook, in her London sewing circle, and in the letters she receives from Henry, her fiance, a celebrated surgeon who has also volunteered to work within the shadow of the guns. When Henry falls ill and is sent to recuperate in Italy, Mariella impulsively decides she must go to him. But upon their arrival at his lodgings, she and her maid make a heartbreaking discovery: Rosa has disappeared. Following the trail of her elusive and captivating cousin, Mariella's epic journey takes her from the domestic restraint of Victorian London to the ravaged landscape of the Crimea and the tragic city of Sebastopol. As she ventures deeper into the dark heart of the conflict, Mariella's ordered world begins to crumble and she finds she has much to learn about secrecy, faithfulness and love. This is the second book by Katharine McMahon that I have read and I have enjoyed both so much that she will become one of my must reads that I will look forward to in the future.